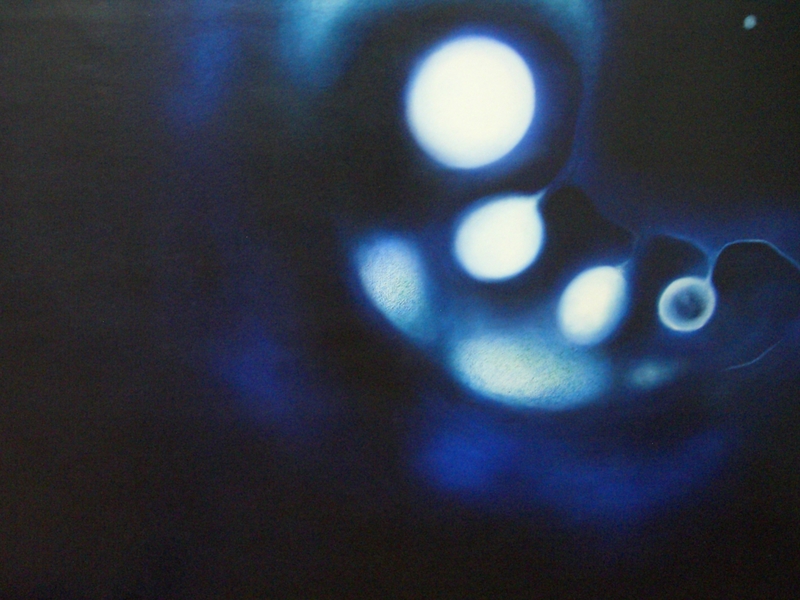 I am a painter and sculptor with a life-long interest in astronomy and plant biology. I see myself as an explorer of the matter of the universe, from the microscopic to the intergalactic. The beauty that exists beyond the surface of our daily experiences perpetually astonishes me. If we take the trouble to look carefully, to really notice things, we discover a mesmerising world of structures within structures and symbiotic relationships. Advances in technology enable us to see ever deeper at both ends of the spectrum: from “star nurseries” within giant gas clouds, photographed by the Hubble telescope to complex arrangements of leaf cells or molecular patterns within crystals revealed by electron microscopes. Their beauty lies not merely in their aesthetic arrangement but in the fact that their structures are completely functional – they look that way because that is how they work. I am fascinated by the concept of “self-similarity” – where nature repeats pattern structures (eg spheres, branches) at all levels of scale. So, when we look at images of an egg floating in the fallopian tube and of a moon orbiting Jupiter, in many ways they appear almost interchangeable. The universe appears like an infinite series of nested boxes, replicating its patterns at every level. As a passionate ecologist, I seek to contribute to the growing awareness of environmental connectivity by making these extra-ordinary dimensions of our universe visible through my artwork. Shortly after graduating in Fine Art and Critical Studies from Central St Martin’s School of Art and Design, London, I leaped into motherhood, which absorbed most of my creative juice. However, as my children’s early years receded I gradually reconnected with my art practice. I also began working with museums, galleries and arts organisations in London and South East England, devising exhibition interactions, workshops and large-scale, site-specific artworks. I have been active in this field since 2004. During this time I have also undertaken extensive projects in schools, using a wide array of creative processes to explore the curriculum, with a particular bias towards the sciences. My growing experience in this area has led me into lecturing and tutoring on strategies for enhancing engagement with learning. Additionally I work with organisations providing creative experiences for disadvantaged groups. I design projects which focus on developing self-esteem and self-confidence within the context of collaborative art-making.